Leading Swiss department store Jelmoli brings a big splash of colour to Zurich's Bahnhofstrasse. 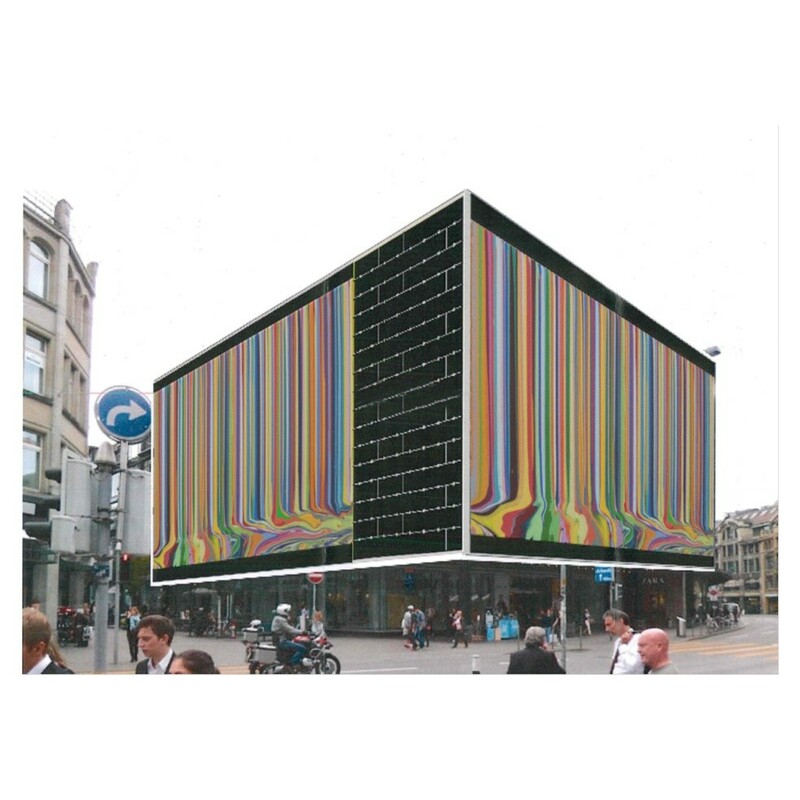 Jelmoli has commissioned a large piece of public pop-up art from Ian Davenport. During façade renovations from 11 February until mid-May 2016, Jelmoli Haus will sport Davenport's vibrant spring colours.